Look for pomegranates that feel heavy for their size. The heavier they feel, the more juice they will contain, so take a moment to choose good specimens. Don't worry about split or cracked fruit, splits and cracks can, in fact, be a sign of supremely ripe and juicy pomegranates! Avoid pomegranates with soft spots or any oozing (that really should go without saying, shouldn't it?). I find that a medium-sized pomegranate results in about 1/2 to 3/4 cup of fresh pomegranate juice. Larger fruits can yield a cup or more. 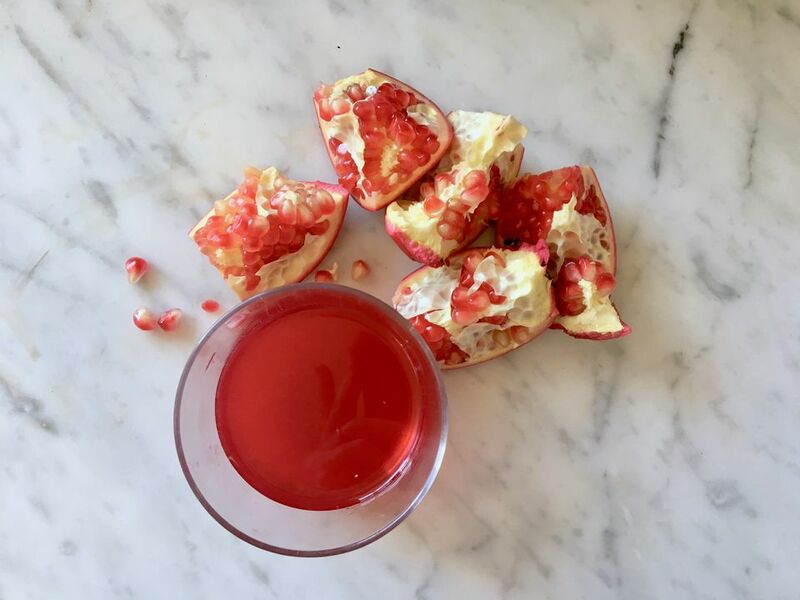 Score the sides of the pomegranate peel from top to bottom, cut off the top or stem-end, pull the fruit open into sections, and remove the seeds. 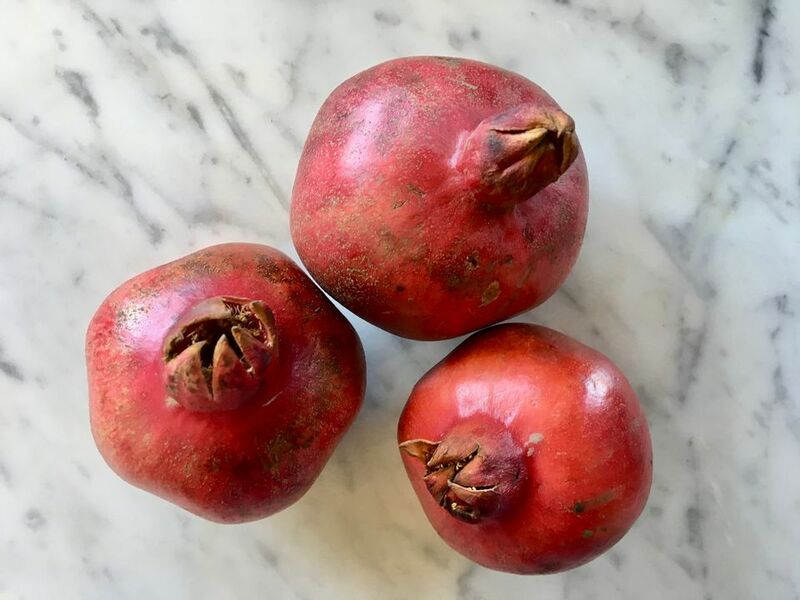 Unlike when you're seeding pomegranates to eat them, you don't need to worry about separating out every bit of membrane or pulling apart all the clusters of seeds. You do, however, want to remove all of the peel (it can impart a bitter taste to the juice) and any bigger pieces of the membrane (they'll get in the way of getting as much juice as possible out of the seeds). Do all of this over a large mixing bowl to make sure you catch as much juice as possible along the way. Transfer the pomegranate seeds and any accumulated juice to a sealable plastic bag. Work out as much air as you can before sealing the bag shut. If you want to drink the juice right after you make it and you want the juice cold, chill the bagged pomegranate seeds for 20 to 30 minutes. A rolling pin works great to press the juice out of the seeds, but gently smashing the seeds with the bottom of a small but heavy frying pan works (and can be fun) too. While you definitely want to smash the seeds to get all the juice out, you need to do so with a bit of gentleness and finesse just so you don't bust open the bag! Cut a small hole in a bottom corner of the bag and strain the pomegranate juice into a glass or other container. The juice will flow out at first, then you may need to squeeze the bag down (kind of like toothpaste) to get all the juice out. Or move things along and cut a bigger hole and run the juice through a strainer. Enjoy the freshest pomegranate juice possible! It will keep, covered and chilled, for a few days, but really it's best to enjoy it sooner rather than later.